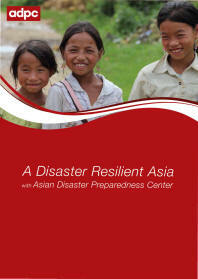 Statistics show that women are disproportionately negatively affected by disasters. As an example, the devastating Indian Ocean Tsunami in 2004 took the lives of hundreds of thousands of people in Asia, and over 70 percent of the victims were women. Women are often posed at risk when social and cultural norms limit their mobility – according to some studies, women are 14 times more likely to die during a disaster than men. The humanitarian community has been taking steady steps to ensure an effective humanitarian system for all women, men, boys and girls affected by disasters. 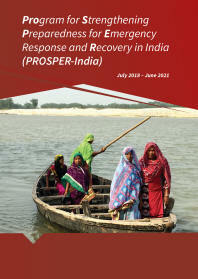 As stated in the Sendai Framework for Disaster Risk Reduction, the reduction of risks from disasters requires engagement and partnership from all in society. 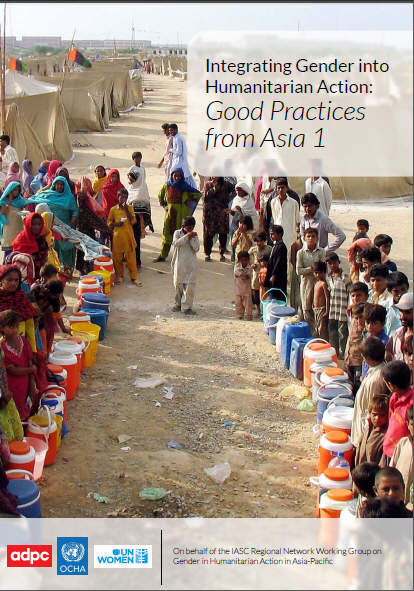 In this brochure, you can read about successful initiatives that have been taken in Asia to ensure an equal treatment of all in society before, during and after disasters. 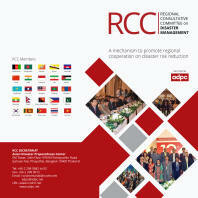 The document has been developed by Asian Disaster Preparedness Center and the United Nations Office for the Coordination of Humanitarian Affairs on behalf of the IASC Informal ad-hoc Working Group on Gender in Humanitarian Action in Asia-Pacific Region and with support from the Royal Norwegian Ministry of Foreign Affairs.